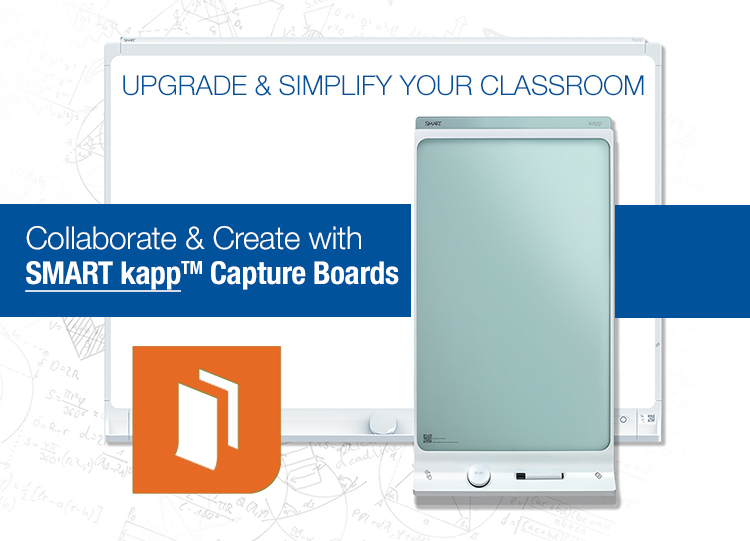 Replace outdated white boards with the latest in educational technology, the SMART kapp™ capture board. 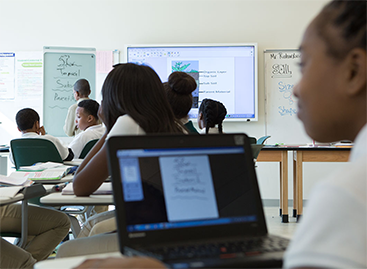 Invest in easy to use interactive boards that enable teachers to connect with students. The ability to capture, save and share student work fulfills the need for effortless teacher to student collaboration. SMART kapp™ isn't just an upgrade, it's an evolution. Integrating an interactive board, such as SMART kapp™ Capture, resolves communication gaps in the classroom, and helps inspire and refine student ideas. Start using SMART kapp™ right away – just plug it in and start engaging. Don't stress about setup. SMART kapp™ boards are easy to install, and shouldn't require IT assistance. 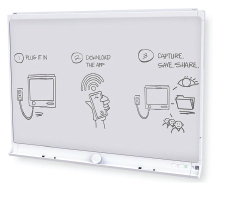 The stain-free surface makes it easy to clean off dry erase pen ink, unlike traditional white boards. Download the Smart kapp™ App to share Evernote™, Google Drive™, and Dropbox™ files. Never forget an idea. 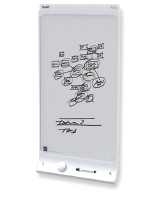 Take digital snapshots of capture board notes, and save to file sharing/storage. Keep content secure with a pin number to protect student work. Make content accessible to students everywhere, using mobile devices, laptops and tablets to share and store. Ensure every student will have access to work, compatible with both iOS and Android devices. Review with classrooms of all sizes, and invite up to 250 participants. Camcor's educational technology experts can provide you with guidance with product selection, classroom integration, and installation.